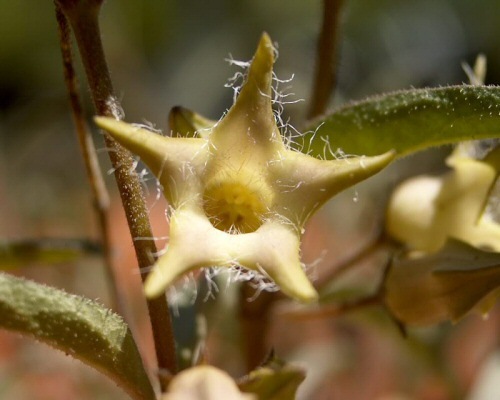 Brachystelma is a genus of over 100 species in the Apocynaceae family found in Africa, Asia and Australia with the majority found in South Africa. 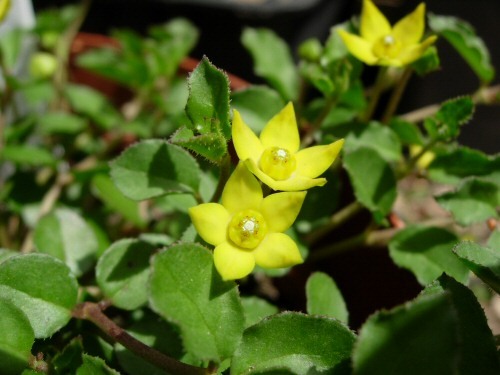 Plants are perennial with usually annual stems and fleshy roots, clustered or in a disc-like stem tuber or caudex. 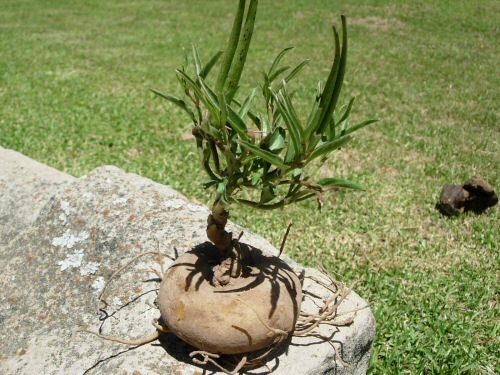 Tubers of many of the species are eaten by animals and people. 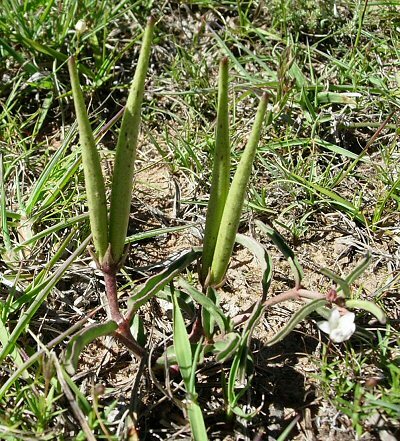 Brachystelma cathcartense is found in shallow soils in grassland where it is endemic to the Cathcart district of the Eastern Cape of South Africa. 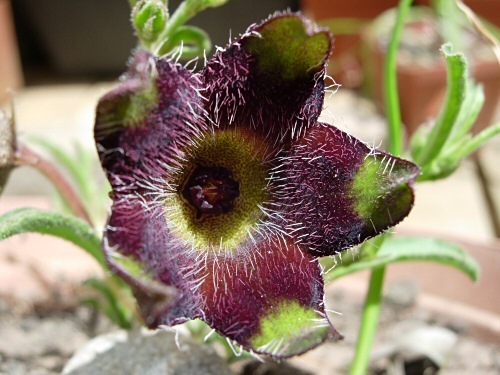 It has one or two cup shaped flowers that are maroon/black with a maroon center and green tips to the petals. It flowers in mid-summer. Pictures below from Cameron McMaster were taken in habitat in the Cathcart district and show the flower, tuber, and fruit. Brachystelma meyerianum is found in the Eastern Cape, South Africa. 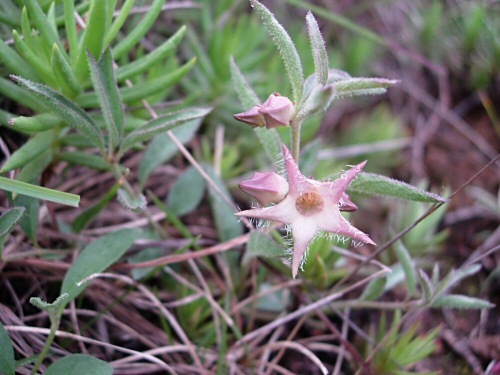 It is a variable species, more widespread and also found in shallow soils on rocky outcrops. Photo by Cameron McMaster of two different colored flowers.